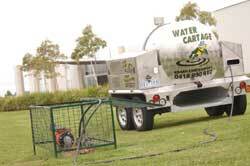 Do you need a fast, efficient alternative water supply for multiple sites? 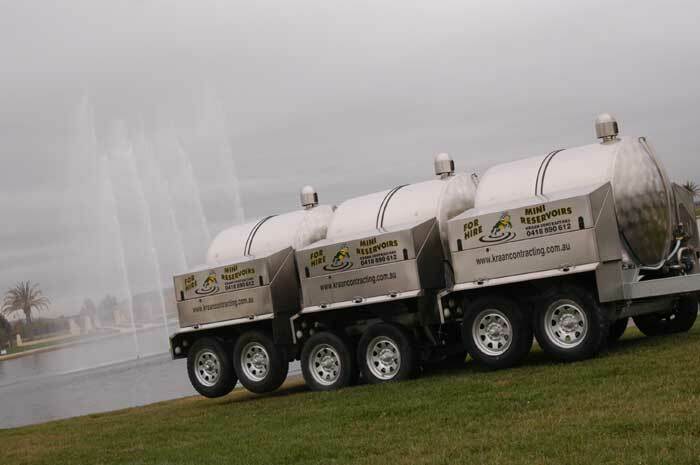 Then look no further than our mini reservoir solution which converts into 3 individual tankers as quick as uncoupling the trailers. This 3-in-one water supply solution is now saving thousands of litres of water annually whilst repairs and maintenance are being carried out to the regular water supply. 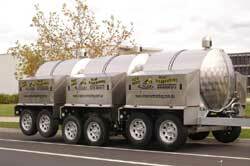 Converting into three individual tankers quickly and efficiently, they are ideal for servicing individual or multiple sites. 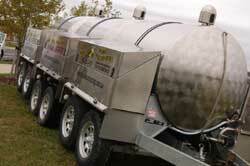 Each 2,500 litre tank is made from Stainless Steel and is fully enclosed and contamination proof. With Ron being both a South East Water and Yarra Valley water permit holder there is no problem with the quality of the water supplied. Each unit is easily mobile and can work in confined spaces due to its compact design features. Set up is fast and easy so you will be able to get on with your repairs in no time. Dual pumps and a long range fuel tank ensure that each pump can run for approximately 20 hours without the need for switch off or refuelling. This means that there is never a need to refuel when the pump is hot. 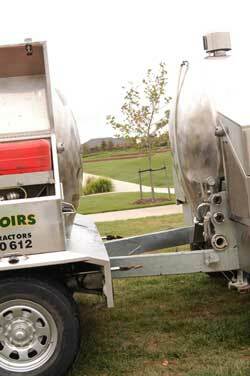 An electric pump ensures that there is minimal disturbance out of hours. Each 2,500 litre tank is made from Stainless Steel and has been designed by Ron Kraan to deliver essential water to many services simultaneously. Connecting and disconnecting the trailers is easy as the back of the sub-frame on each trailer has a female connector with a corresponding male connector on the trailer tow bar. Although the units have 4 tyres apiece when all three units are transported only the centre trailer is connected with the road as if one tandem trailer is being towed. 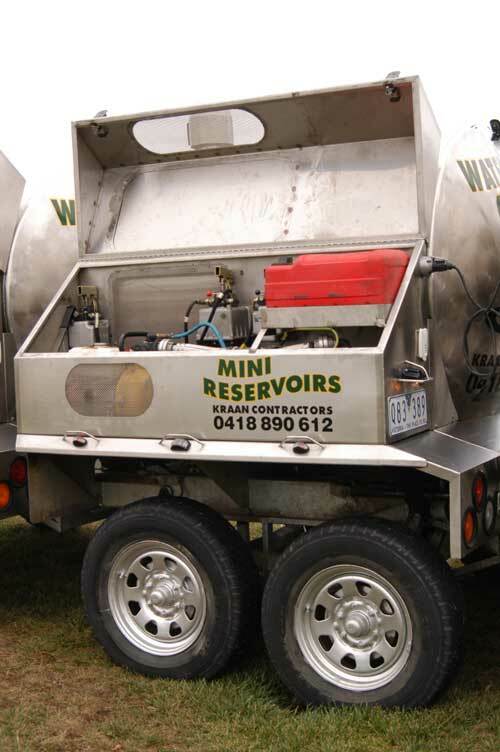 Each Mini Reservoir is fully enclosed and bottom loaded and bottom unloaded so there is no open hatch for contamination or tampering of the water supply. 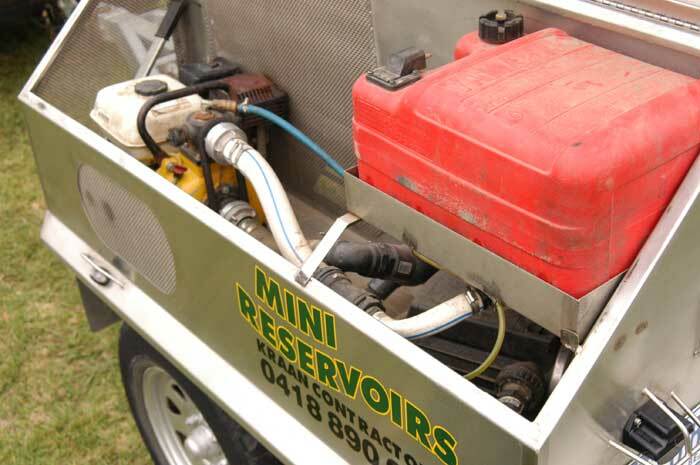 Dual pumps and a long rang fuel tank ensure that each pump can for approx. 20 hours without the need for switch off or refuelling. This means that there is never a need to refuel when the pump is hot. There is no fluctuation to the water pressure during use as each unit also has a 240v electric pump running from a soft start electric motor. The operator is able to test the pressure in the water mains before shutting off the mains supply as each unit is equipped with its own pressure gauge. This enables us to produce exactly the same pressure as before shutdown. 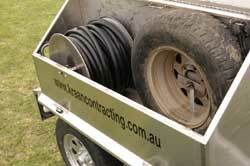 A 60 metre durable hose fits neatly into the enclosed stainless steel compartment on one side of the unit. The hose is on a live reel so that only the amount required needs to be unwound. The facility to run additional hoses is available if required. 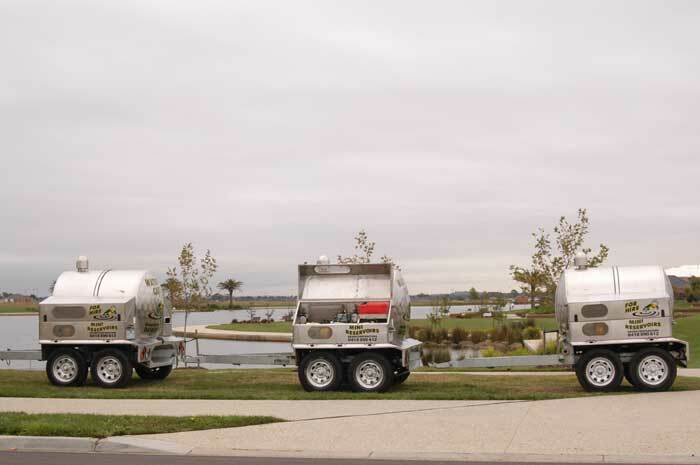 There is never any need for the tank to leave the site for water refill as the 1.5 tonne Utility that the units are towed on is equipped with its own 1,000 litre water tank. When the mobile reservoirs require additional water the Utility tank supplies the necessary top up as required. 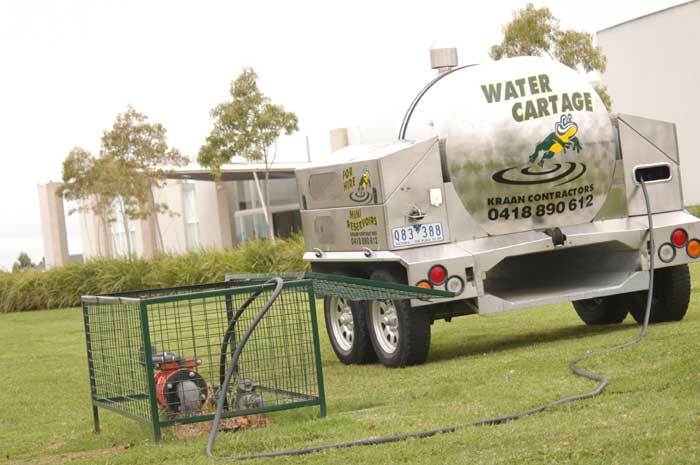 The tank on the Utility vehicle can be utilised as a water supply unit in its own right as it also has its own pumps and the capability to be attached to the water main. Combination and electric pumps and live reel complete with a number of hoses are carried as standard. A variety of tools, fittings and connectors are also carried in order to fulfil any requirement.